My preschooler still absolutely LOVES rockets and space shuttles. 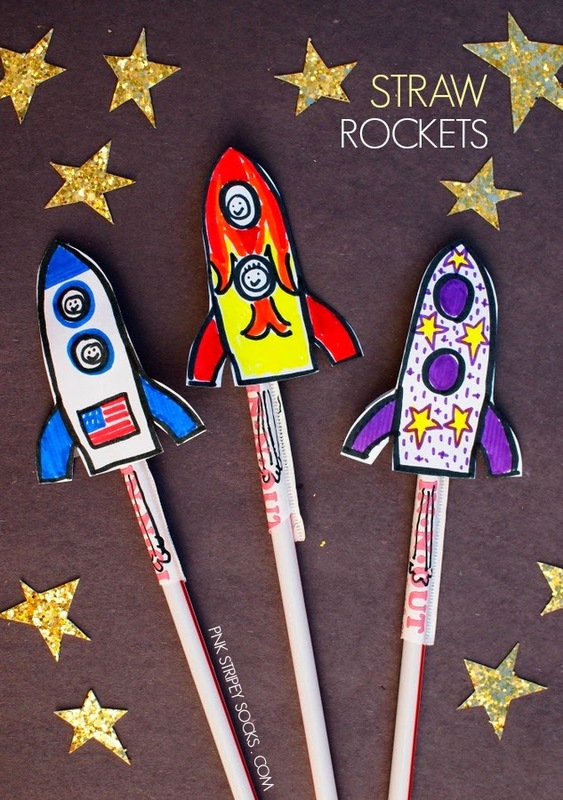 Over the years, we've made a lot of awesome transportation crafts, but I was excited to post these straw rockets today because they were easy to make (and FREE)! We got a bunch of covered straws from our local burger place. Then, I carefully ripped the straw cover in half. Then, I doodled a couple of space shuttles onto computer paper and cut them out. I used clear tape to attach them to half of the straw cover. And that's it! Now just blow on the straw and watch your rocket soar! Once one straw cover gets wet, just tape a rocket onto the other half and get ready to launch again. 6 other FUN space-themed crafts! 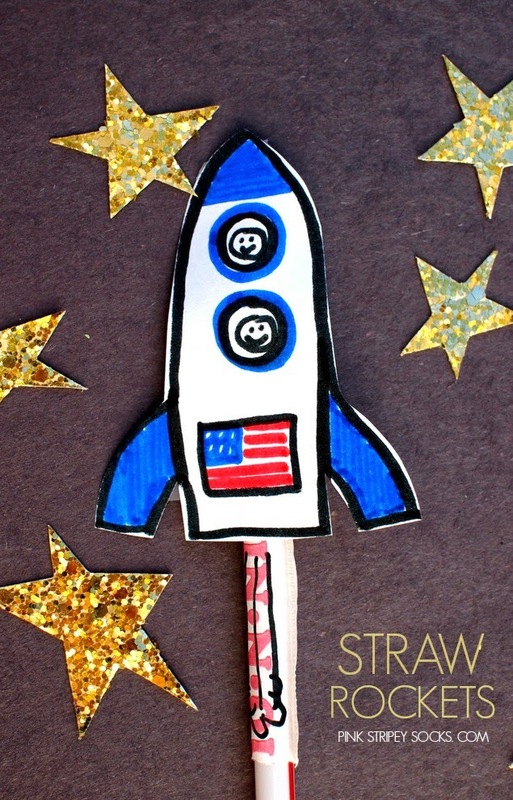 And here are 6 other neat space-themed crafts to continue the out-of-this-world fun!